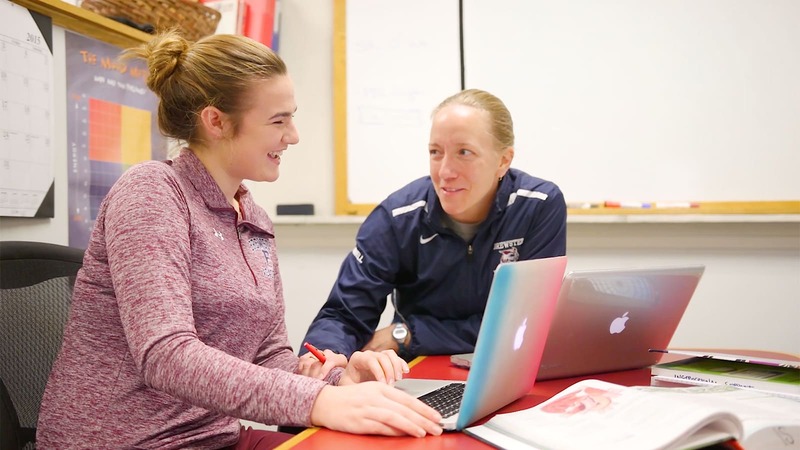 The goal of the Instructional Support program at Brewster is to accelerate student learning by providing a customized program that recognizes the student's talents while helping them acquire the skills and strategies needed to become an independent lifelong learner. This individualized program is designed to enhance a student’s reading, writing, organization, time management, and study skills. Upon your acceptance to Brewster, our admission team will review your interview, application, educational achievement and aptitude test results, teacher recommendations, transcripts, and other information. We’ll determine your educational needs and complete a skill development plan as part of the decision-making process. If we recommend you for instructional support, your admittance to Brewster is contingent on your participation in the program. Instructional Support is an individualized program involving the collaboration of IS teachers, subject teachers, and the student. Regular individual meetings, thorough evaluation, and individually-tailored teaching programs create the opportunity for teachers to apply best practices in the field of learning style differences in a highly personalized manner. How is the Need for Instructional Support Determined? The need for participating in the IS program is determined during the admission process. If participation in the program is indicated, the specific plan type will then become a part of the course of study for that individual upon admission to Brewster. How is the Level of Support Determined? The level of support is based on the identified skill(s) that are discrepant in relation to the student’s ability. The student may experience challenges in one or more of these areas: reading, writing, oral expression, organization, planning, time management, attention, or self-advocacy. There are three levels of support, each customized to meet individual needs: Comprehensive Skill Plan, Instructional Assistance Plan, and Transition Assistance Plan. This three-tiered program allows for reducing the amount of support as the student demonstrates skill acquisition and independency. The Comprehensive Skill Plan is our most extensive plan with three sessions each week that provide frequent, ongoing, intensive assistance to develop multiple skill sets. The best-practice approaches employed by the program are integrated with the delivery of the subject curriculum in all areas. The Instructional Assistance Plan is a two-session a week plan focused on accelerating a primary skill needed to maximize success in the Brewster curriculum and beyond. The student has demonstrated some degree of independence and therefore the focus is on achieving consistently high performance. The Transition Assistance Plan prepares the student for being an independent learner. Students are monitored weekly to ensure the skills and strategies they have learned or are learning are being applied within their curriculum with a high level of consistency. This plan is designed for the student and teacher to meet once a week to review progress and provide the student with feedback that assists in accomplishing the goal of independence from a support plan.